Shale boomers are having a field day, adding rigs, improving well efficiencies, pumping in more water and frac sand, and ultimately expanding production. This is only natural with oil prices at over US$60 a barrel. It is also risky, however, as common sense would tell us not to produce more than a market needs, lest oil prices take a tumble. Alas, common sense is not always in abundant supply in the energy industry. But shale drillers have another thing to worry about: shareholders. Shareholders who have been loudly grumbling loudly about the lack of returns in recent years while drillers instead put everything they make into more production. 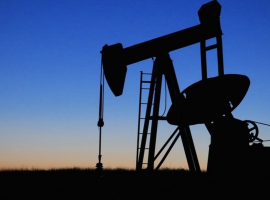 This is likely to change this year, writes S&P Platts’ Starr Spencer, quoting analysts who expect that more shale oil companies will demonstrate spending restraint this year as pressure from shareholders mounts. But this doesn’t necessarily mean they will rein in production growth to generate more free cash flow for investors, some analysts believe. It’s simply too tempting to keep pumping more when prices are so much higher than they were a year ago. Current prices are one factor that suggests shale drillers will continue growing production. Another factor is hedging. Last November Wood Mac reported that in the third quarter of 2017 alone U.S. oil companies had hedged almost 900,000 barrels of future output at prices between US$50 and $60 a barrel. With this amount of oil secured at a comfortable price level, Wood Mac’s analysts suggested, these companies would feel much more confident about raising production. Of course, 900,000 barrels is less than a tenth of total U.S. production as of last week’s figures from the EIA, but drillers surely continued hedging through the fourth quarter of the year as prices continued to rise. With WTI at US$66 as it was last month, chances are a lot of shale drillers hedged a lot of barrels at prices that will provide them with the opportunity to expand production for now. But this will only happen if they manage to convince their shareholders all will be good, which is doubtful. 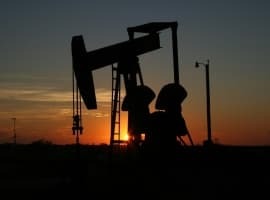 The Wall Street Journal’s Bradley Olson and Lynn Cook last December wrote how a dozen large shareholders in shale producers met to discuss how to best apply the pressure they felt was needed, so the producers started producing not just oil, but some profits, too. But free cash flow is only one challenge. For the last decade, energy companies have accumulated total shale expenditure of $280 billion more than the revenues they have generated from these operations. There is also the issue of debt, which for many producers is still uncomfortably high: As of 2016, the debt-to-equity ratio of many large shale players was in three-digit territory. Add to this the closing window of opportunity for efficiency improvements because of the natural way efficiency improvements accumulate up to a point where nothing more can be done better. This means costs cannot keep falling indefinitely—and likely not much further than they already have fallen. If shareholders have already started to lose patience, chances are that we might see a gradual decline in the production growth rate in the shale patch.